If you get nervous when your dental appointment comes near, you are not the only one. Many people fear the dentist. Sometimes this is because they have had a bad or painful experience in the past. Sometimes it is because they have not been to see a dentist in a long time. Sometimes the clinical setting of the dentist’s office is intimidating. But while dental anxiety is perfectly normal, it is also crucial for your dental and overall health that you get in to see a dentist regularly. Fear of loss of control is when they can’t see what we’re doing to them, can’t help us to do it, or can’t anticipate what will happen next. They have fear of embarrassment because we work inches away from patients’ faces and are in their personal space. Some people lack self-confidence or are ashamed of how their teeth look, and they’re afraid they’ll be judged or ridiculed. Fear of pain may be related to previous bad experiences, “horror” stories, or unfortunate depictions of dentistry in the media. The problem is that NOT visiting your dentist only leads to bigger problems down the road! Your relationship with your dentist should be a trusting one and anxiety makes trust difficult. So if you are anxious, the first step is to talk to us at Alex Bratic before any work is done. You might be surprised to learn about the various options available to you. Your dentist can explain what to expect during your visit, or can suggest sedation and anaesthesia options. Alex Bratic offers various sedation options to help you feel calmer and more comfortable during your visit. Warn your dentist about your anxiety and create a coping strategy. Some patients feel better if their dentist tells them what is happening at every step of the process. Other patients prefer to have the dentist talk about something other than the work that is being done. Establish a signal for when you need a break. Let the dentist know if you raise your hand, it means you need him/her to stop for a minute. Listen to music and concentrate on your favorite songs instead of the sounds of the dentist’s office. Have something to hold. Kids may want a stuffed animal. Adults may choose a stress relief ball or a hand grip to squeeze during treatment. Picture yourself somewhere else. Visualise a place that makes you calm and comfortable. Many people focus on beaches, or other natural locations. Silently repeat a phrase. Repeating simple mantras like “I am okay” or “I am safe” can help keep you calm. If non-medical remedies are not enough to control a patient’s anxiety, medical sedation options are also available. In some cases an antianxiety medication is prescribed to be taken prior to treatment. A small dose will ease your nerves. A larger dose may cause you to fall asleep during treatment. Today’s local anesthetics are powerful. After numbing with a topical anesthetic, our doctors gently inject local anesthetic that blocks all pain. 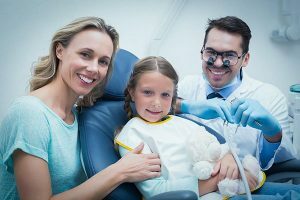 Our dentists will carefully evaluate your level of anxiety, and then work with you to choose the method that most suits your symptoms and overall health needs. If you have a fear of visiting the dentist, you are not alone. We use gentle techniques, the latest technology, compassion and understanding. 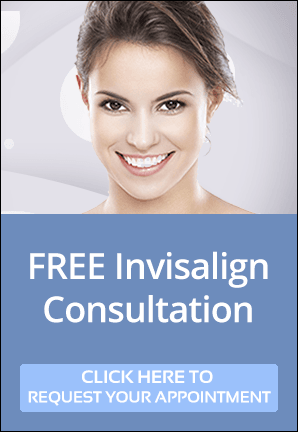 We have successfully treated many patients who were nervous about visiting the dentist. We are supported by an experienced and friendly team of dental assistants and the receptionists are all supportive and competent.